Janelle has worked with children with disabilities and developmental delays and their families for over 30 years. Janelle has been working at OECI since 1990 as an Educator and more recently as the Centre Manager. Prior to this Janelle worked at Dubbo & District Pre-School and has taught at both TAFE & Charles Sturt University in the Bachelor of Education Degree. Janelle has been an active member of the NSW Chapter of Early Childhood Intervention Association for over 15 years and is currently the Secretary. Janelle enjoys spending time with her two grown up daughters and doing patchwork in her spare time. Doreen commenced working at OECI in 2004 as an Educator and is now the Team Leader & Co-ordinator for the Federal Governments Helping Children with Autism & the Better Start Initiatives. 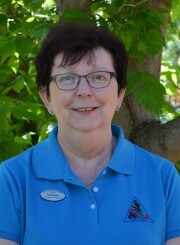 Doreen has worked in many early childhood settings including Dubbo & District Pre-School where she was the Director at the Pre-School and brings many years of experience in working with children with additional needs and their families. Doreen has tutored at Charles Sturt University in the Bachelor of Education Degree. In her spare time Doreen assists on the farm and enjoys time with her four grandsons. Aly has been working at the centre since 2011. Aly was a live in nanny for several years in Sydney and the Project Officer for Carewest’s Scan Project for Orana Far West prior to joining OECI as an Educator. Aly enjoys working with the Pre-School aged children and preparing them for their journey into School. Aly is a mum to two young boys and is enjoying this journey immensely. Sharon is one of the newest members of staff having joined the team in January 2014. Sharon has many years’ experience in the early childhood sector having taught in a range of preschools in Sydney and on the South Coast of New South Wales. Sharon has been involved with children with additional needs in all the early childhood services she has worked in. Sharon completed the Key Worker on line training last year and has bought this knowledge to the centre to assist us with the implementation of this role into our service. Sharon was married earlier in the year & has moved to Dubbo to be with her husband. In her spare time Sharon enjoys keeping fit, photography, paper craft and baking. Chris has been working at the centre since 2002 after working at the Dubbo Base Hospital and Commonwealth Rehabilitation Service where she worked with both adults and children. Chris assists young children to reach their gross motor goals & is responsible for conducting the hydrotherapy sessions we offer at Fitness Focus. In her spare time Chris drives a “Mum taxi” for her three children to all their various sporting activities and social events and then squeezes in a game of tennis for herself. Merryn has been working at the centre since 2005 following previously working at Community Health, the Spastic Centre, and overseas in Scotland and Wales. Merryn has a particular interest in feeding difficulties and has recently completed the SOS training. Merryn is a very busy mum of four children, and enjoys spending time with her family, cooking, and on a rare occasion being able to read a good book. Bec has been at the centre since 2011 following a short stint at Community Health in Inverell. Bec has a particular passion for augmentative communication devices and has achieved some wonderful results with some children. Bec is a mum to her two young children and in her spare time Bec enjoys craft of all sorts, cooking, playing music. Megan has been with OECI since 2011. She has previously worked with adults in Inpatient and Community Mental Health for 3 years. Megan has a particular interest in sensory processing and enjoys supporting children and their families with sensory and behaviour challenges. Megan has completed further training in the SOS approach to Feeding, DIR Floortime, and sensory processing including the therapressure program and therapeutic Listening and uses these techniques to support the families she works with. Megan is a mu to her two young girls and in her spare time Megan enjoys shopping, reading. Hayley has been with the centre since 2011 and has seen the centre grow dramatically during this time resulting in many more administration duties. Hayley has completed MYOB training including Payroll. Hayley’s hobbies include sewing; tennis and watching her children play sports. Denese joined the OECI team in October 2015. 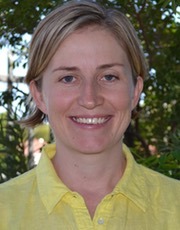 She has previously worked in both the Health and Education sectors in Queensland prior to moving to Dubbo in 2011. In her spare time Denese enjoys participating in sporting activities such as bushwalking and bike riding. Denese also likes completing craft activities such as scrapbooking and patchwork. Jane joined the OECI team in 2014 bringing with her a wealth of experience in the OT arena. Jane has previously worked overseas in Ireland and at the Spastic Centre, Community Health & ADHC in Managing and supervision roles.